Any number of health benefits are attributed to good old curd. Heart health, bone health, teeth health, you name it. Moreover, the nutrients present in curd are easily absorbed by your digestive system. Not only that, it also helps in absorbing nutrients from other food items that you have eaten. Eat it with spicy food, bland food, neutral food, curd does something to food that the food itself would not know! Then there are the good bacteria that curd brings to your system. Curd can be one of the best sources of probiotic bacteria, depending on the bacterial strains used. The following report covers two brands of probiotic curd – in addition to seven other regular curd brands – whose bacterial strains were tested in the laboratory. For any curd, milk fat and solids not fat (SNF) are important determinants of quality – good curd will have more of these. Calcium is important too. Nine leading brands of curd were assessed along these parameters and the results indicate that not all brands are equal. For example, the variation in calcium goes from 197.98 mg/100 gm to 120 mg/100 gm. The World Health Organization’s (WHO) definition of probiotics is ‘live micro-organisms which, when administered in adequate amounts, confer a health benefit on the host.’ Probiotic dahi supports healthy digestion. We tested Nestle Acti Plus and Mother Dairy Advanced Probiotic for beneficial bacteria. 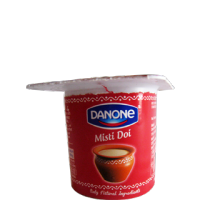 Nestle Acti Plus claimed to have Lactobacillus acidophilus bacteria (1 crore cfu/gram). In lab testing it was found to be 1.872 crore cfu/gram. 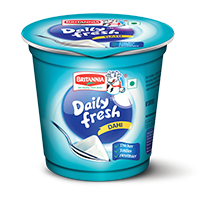 Mother Dairy Advanced claimed to have BB-12 (Bifidobacterium lactis/Bifid bacterium) probiotic strain. In lab testing it was found to be 1.132 crore cfu/gram. You can see list of our CV Surveillance Series - Curd below, perform Side-by-Side comparison. If you need further help, do have a look at Conzumr Guides and Tips. Alternatively you can view all Curd to choose your own favourites. 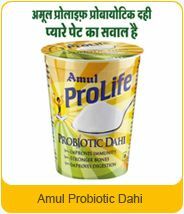 Dahi or curd means the product obtained from pasteurised or boiled milk by souring, natural or otherwise, by a harmless lactic acid culture; other harmless bacterial culture may also be used in conjunction with lactic acid bacteria cultures for souring. Dahi may contain added cane sugar. 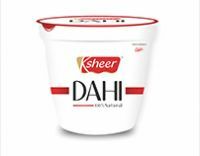 Dahi shall have the same minimum percentage of milk fat and milk solids-not-fat as the milk from which it is prepared. Milk solids may also be used in preparation of this product. Where dahi or curd is sold or offered for sale without any indication of class of milk, the standards prescribed for dahi prepared from buffalo milk shall apply.